Posted: Tuesday, September 11, 2018. 11:25 am CST. By BBN Staff: This morning, the Ministry of National Security held a press conference in the old capital to inform the Belizean public about the capture of 2 Mexicans, a Belizean police officer and the confiscation of 26 bails of cocaine in Blue Creek, Orange Walk. Assistant Commissioner of Police, Chester Williams told the media today that the capture of the aircraft was not as a result of the coordinates released on a social media page purporting to be that of Vincent Edwards, the brother of Minister Anthony Martinez, but as a result of the hard work of the Police and Coast Guard personnel. 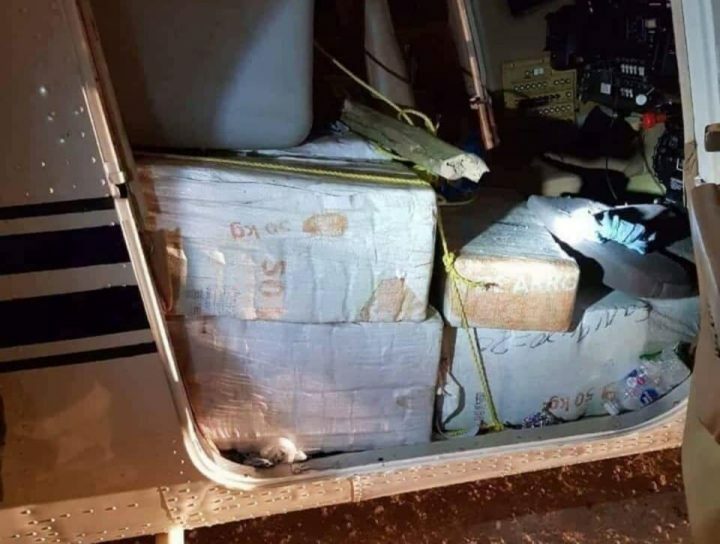 Williams also informed that after levying charges on those responsible for the drugs and aircraft, they will apply to the Court for them to destroy the cocaine.